I really wanted to like The Time in Between aka El Tiempo Entre Costuras (2013). 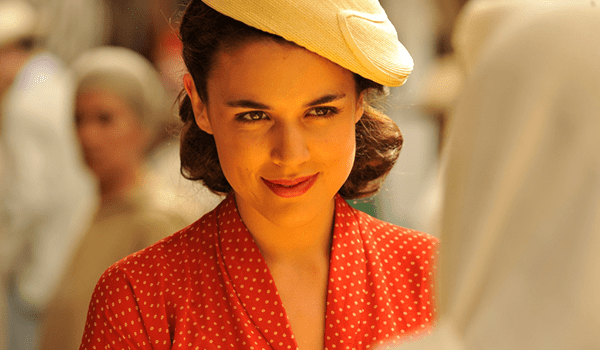 This Spanish TV series is set in the 1930s, right at the start of World War II, and the main character, Sira Quiroga (played by Adriana Ugarte) is a seamstress who makes incredibly fashionable clothes. 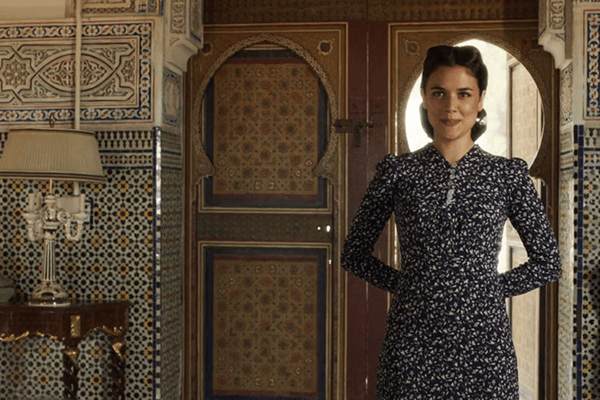 It’s also filmed on location in Morocco, so gorgeous clothes in a beautiful setting, yay, eye candy! And the intro promises she makes dresses and she’s a gun-runner and a spy — how exciting! But after at least six episodes, I was unimpressed because Sira lacks agency. She gets the guns, but she’s totally passive. By “agency” I mean that the character shows the ability to act for herself. She is her own person in the world, making her own decisions in life. Unfortunately, Sira doesn’t do anything of her own accord, she just lets things happen for her and allows everyone else around her make decisions for her. Her mother is a dressmaker, so she becomes one too. She starts dating a boring-but-nice fellow because her friend sets her up. She very nearly marries him because her mother wants her to. The only decision she makes for herself is to break the engagement. Meeting Ramiro by obligatory accident. But Sira does so to hook up with the hottie Ramiro, and as soon as they’re together, she does everything he suggests. She’s given money from the father she never knew she had, and she lets Ramiro “invest” it, and he ends up spending / stealing it. She also gets pregnant by Ramiro, who leaves her. Then she randomly gets on a bus — because it’s there? That doesn’t seem like a choice, she just stumbles around and finds it. She miscarries the pregnancy and ends up in a hospital, where the police track her down for leaving Ramiro’s debts. Candelaria knows what to do, even if Sira doesn’t. The police put her in a boarding house, where she’s a useless zombie, until the woman running the house, Candelaria, accidentally finds out Sira can sew, and it’s Candelaria who makes Sira open her own dressmaking shop and creates the gun-running plan to finance it. Then the spying? That’s the idea of Rosalinda, the local Nazi commander’s mistress. Literally all Sira knows how to do is sew. Sure, yay, she has a skill. Rosalinda drives, Rosalinda knows who to get info from, Sira’s just along for the ride. Folks, this is not how to create a strong female story! I guess some of the secondary female characters show strength and independence — Sira’s mother, Candelaria, and Rosalinda, all have more agency than Sira. But the main character, the one with the most screentime, is the one with the least agency. She sleepwalks through the first season, waiting for others to tell her what to do. I guess I’d rather watch a cliche soap opera with women being bitchy and throwing cat-fights because at least those women are doing things of their own accord. Maybe The Time in Between gets better, and Sira becomes stronger in her own right. But that’s poor writing if it takes a whole season for the main character to become independent in a show that really only has one storyline following this one central character around. There are nazis trying to mess stuff up. And chic late 1930s / early 1940s clothing. Maybe I’m missing the point, and this is merely meant to be a period fashion show, and we’re just supposed to watch the pretty people go by. Zzzzzzzzzzzzz…. Have you watched The Time in Between? 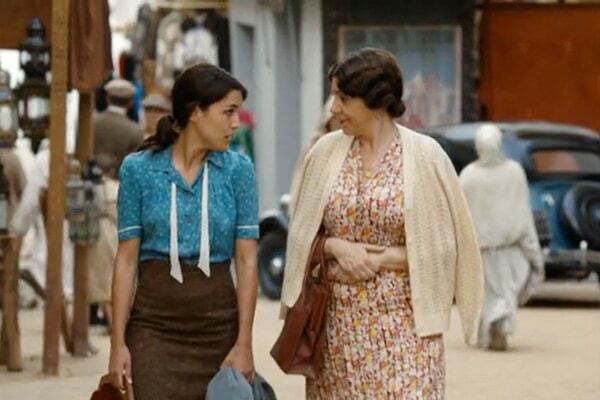 Were you bored by Sira’s lack of agency or entranced by the 1930s costumes? they named a character candelabra? Maybe she’s here to shed light on the action? Candelaria, is a rather old-fashion spanish name strongly linked to catholicism… It’s the name of one of the our “traditional” Virgin Mary’s. It’s a silly sounding name, but if you have a story, set in any year between 1700 -aprox- and 1980, and you have a character that is the old or middle age spinster and religious, you name her Candelaria. Yup, that’s exactly the character! I read the book and it didn’t seem that Sira was passive in the book. More like she was knocked off course over and over by events and people she was too young or naive or powerless to effect, and then made the best of the situation. In the book she has plenty of ideas and ambition, as I recall. Good to know the book is better! Bec. the story sounds great in concept — but the way the series is done, Sira sleep-walks thru everything. I don’t want to pin it on the actress, bec. it feels like she just isn’t given much to do other than sew; those are most fully realized scenes. Like when she figures out how to recreate a Fortuny-pleated gown. But the gun-running & spying scenes are so sparsely written, the lead-up is all dependent on the secondary characters, & Sira’s actions are minor. After she leaves Morocco in the tv series, her spying intensifies, and she is a less passive character. It’s tempting to want to impose modern feminism on top of historical characters, but Sira is living in a time where she has few choices, imposed both by society and history, and her evolution is gradual. Her character strengthens until she is confident enough to take risks she never would have taken when she was younger. I haven’t read the book, just seen the series, which I have been recommending to my friends. 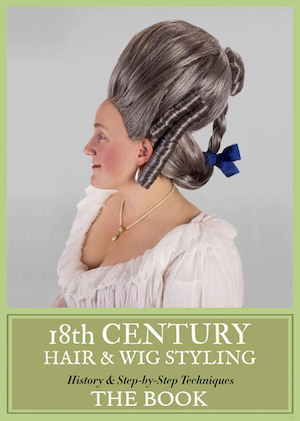 Plus: dressmaking! She’s living in the 1930s! Compared to many women’s characters in contemporary movies filmed in the 1930s, Sira is very passive & inactive. For example, Claudette Colbert in “It Happened One Night” (1934) is a runaway heiress who does whatever she pleases! Also, any series that takes 10 episodes/hours to make its main character interesting has failed. That’s poor writing. Ain’t nobody got time for that.